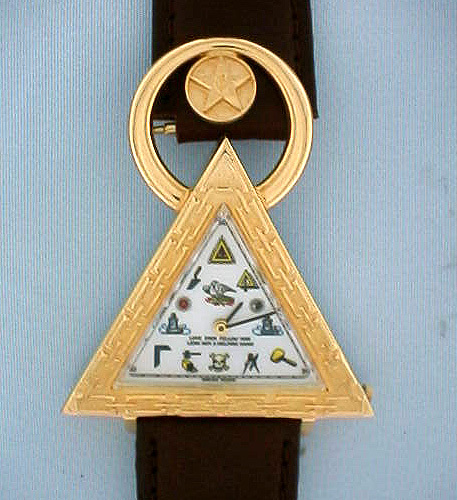 Attractive oversize Swiss Masonic "new old stock" vintage wrist watch circa 1970. Yellow top and stainless steel back. Automatic 17 jewel movement.